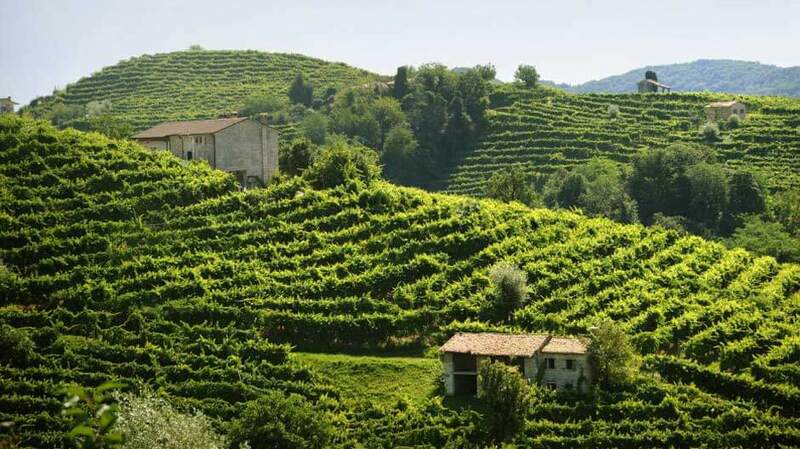 1) A stretch of vines as far as the eye can see on soft and sinuous hills; this is the land of Valdobbiadene, where Mionetto has worked for over one hundred years. Mionetto has become a flagship for the area and a shining example of Prosecco production on the international scene. The beauty of the hills takes in many physical forms. Some slope gently towards the valley, while others drop down more steeply. These forms draw exceptional lines and shapes. In spite of the diversity of a relatively large area, the climate is generally temperate: the area is protected by the Alps to the North and warmed by the winds of the Adriatic Sea to the East, mitigating the temperature in summer and producing rainfall that favors the proper growth of vines. 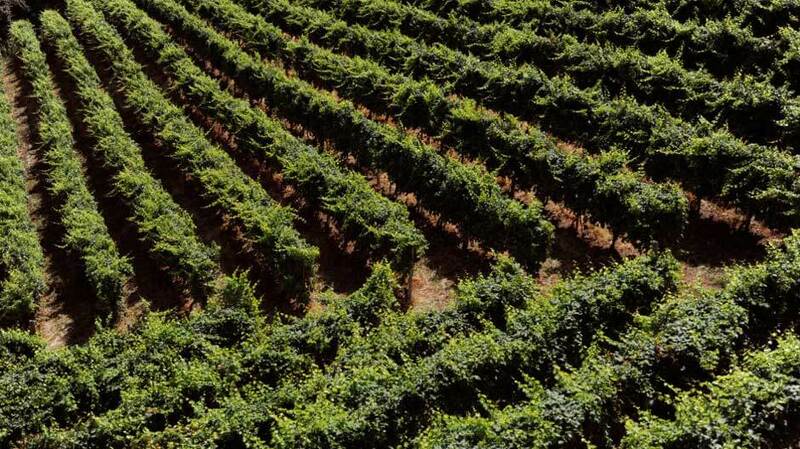 In late summer, the area is characterized by large temperature variations from day to night, enabling the growth of aromatic substances in grapes as they mature. 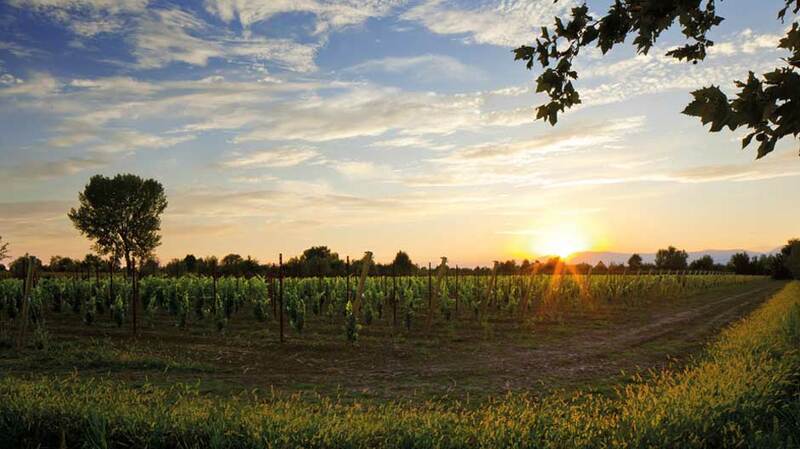 The area dedicatede to the cultivation of the Glera grapes is located in the North-East of Italy and between Veneto e Friuli Venezia Giulia regions with a total area of 24,000 hectares, and the presence of 13,000 producers and 375 cellars. Vines stretch as far as the eye can see over the gentle, rolling hills. This is the Prosecco di Valdobbiadene area that on 1st April 2010, with the Conegliano one, acquired the Controlled and Guaranteed Denomination of Origin (DOCG). The aim of the new regulations is to protect the wine produced in the 15 municipalities in this hilly area, where grapes grown between 50 and 500 meters above sea level, and where the best quality Prosecco is produced, by officially declaring its “superiority” over Prosecco from the neighbouring areas where cultivation has spread to over the last few decades. The highest quality DOCG production remains in the historic “Superiore di Cartizze” micro-area, which is only 107 hectares in size but produces outstandingly opulent wines year in year out. Under the new regulations the grape variety has adopted the old name Glera, which is a synonym of Prosecco. The Conegliano Valdobbiadene Prosecco Superiore has scents of flowers, with delicate hints of honey, green apples and crabapples among a thousand vegetal and floral aromas recalling the nature. The wine’s most obvious sensory characteristics are the pale colors, soft and never too intense, its delicate aromas. The grape variety Glera (the base for Prosecco) finds here the ideal characteristics to best express itself: the winters are long, but not too cold, while the summers are hot, but not sweltering. Soil characteristics: mainly alluvial, calcareous and marly. Wine characteristics: light bodied and elegant, balanced acidity, fresh fruit scents of green apple, pears, peaches and apricot, floral nuances of acacia flower. Mionetto's DOCG sparkling wines are the fruits of close, long-term co-operation between the winery and the best winegrowers in the area. This century-long, consolidated relationship guarantees careful selection of only the finest grapes. The Prosecco DOC (Controlled Denomination of Origin) area was established in 2009. The DOC area is located in the North-East of Italy and comprises five provinces of the Veneto region (Treviso, Venezia, Padova, Belluno) and four in the Friuli - Venezia Giulia one (Gorizia, Pordenone, Trieste e Udine). As the wines from Treviso and Trieste area of high quality and Prosecco grapes are traditionally cultivated here, producers are allowed to add the name “Treviso” and “Trieste” to the Denomination. Under the new regulations introduced in 2009, the grape variety has adopted the old name Glera, which is a synonym of Prosecco. Soil characteristics: very diversified, from stony to clayey or sandy. Wine characteristics: less intense and persistent than DOCG, more or less floral and fruity depending on the soil..